Hey everyone! We are totally stoked to announce the hosts and schedule for Amy Spalding’s INK IS THICKER THAN WATER which releases on December 3rd and is hosted by Rockstar Book Tours! 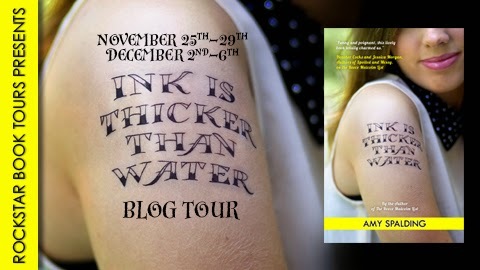 The tour runs for two weeks – November 25th-29th and December 2nd-6th – has one stop per day, and consists of mostly reviews and an interview. 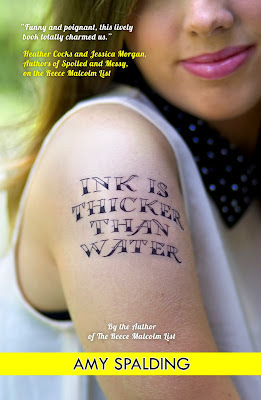 There will also be a tour-wide giveaway for two paperbacks of the INK IS THICKER THAN WATER. So be sure to stop by to check it out.